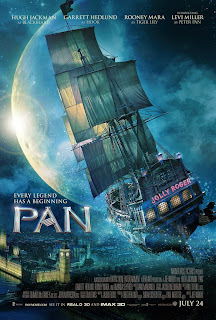 Home / CELEBRITY NEWS / FILM POSTERS / MOVIE TRAILERS AND INFO / Watch the New Pan Trailer: Hugh Jackman is Blackbeard! Watch the New Pan Trailer: Hugh Jackman is Blackbeard! 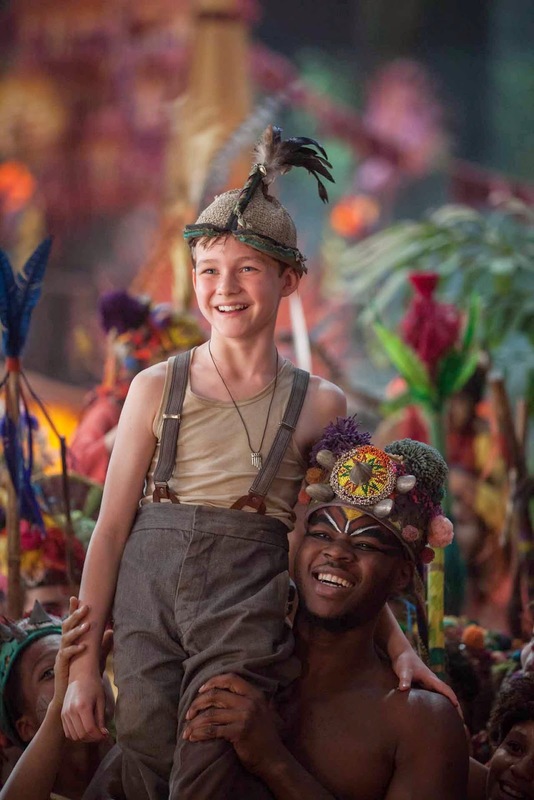 Escape to Neverland as Warner Bros. presents another look at director Joe Wright’s lavishly fractured take on Peter Pan. 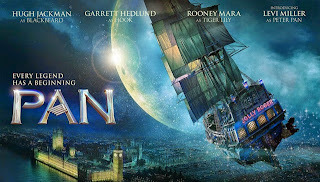 Check out the new trailer for Pan below! Pan is set for a worldwide release in 3D and 2D in theaters and IMAX on October 9. Pan is a live-action Peter Pan feature directed by Joe Wright (Atonement, Pride & Prejudice). Offering a new take on the origin of the classic characters created by J.M. Barrie, the action adventure follows the story of an orphan who is spirited away to the magical Neverland. There, he finds both fun and dangers, and ultimately discovers his destiny—to become the hero who will be forever known as Peter Pan. The film stars Oscar nominee Hugh Jackman (Les Misérables) as Blackbeard, Garrett Hedlund (Inside Llewyn Davis) as Hook, Oscar nominee Rooney Mara (The Girl with the Dragon Tattoo) as Tiger Lily, Adeel Akhtar (The Dictator) as Smee, and newcomer Levi Miller as Peter. Rounding out the cast are Taejoo Na (The Kick) as Kwahu, Nonso Anozie (Son of God, Atonement) as Bishop, Kathy Burke (Tinker Tailor Soldier Spy) as Mother Barnabas, Kurt Egyiawan (Skyfall) as Murray, Lewis MacDougall (UK TV’s “In the Name of the Children”) as Nibs, newcomer Leni Zieglmeier as Wendy Darling, Jack Charles (Mystery Road) as The Chief/Tiger Lily’s father, and Amanda Seyfried (Les Misérables) as Mary.